Despite controversy over the more expensive varieties of the product, bone broth continues to have a place in consumer diets, often in more accessible forms. 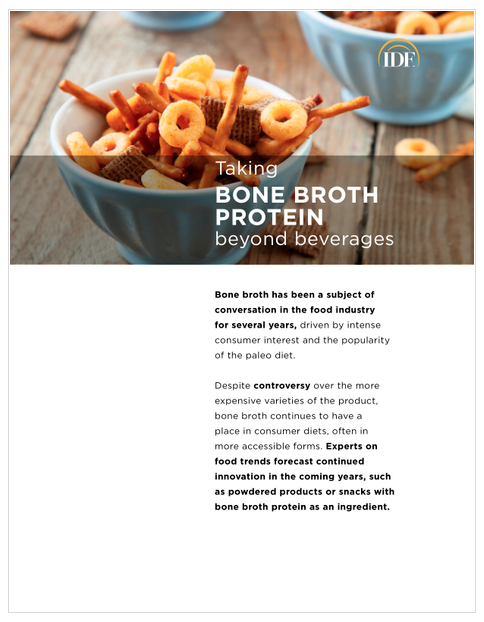 Experts on food trends forecast continued innovation in the coming years, such as powdered products or snacks with bone broth protein as an ingredient. About IDF: For more information and recipe concepts, visit IDF.com or call 800-641-6509.